So many people in this world let adversity drag them down. Circumstances dictate how their life plays out. Despite negative surroundings, there are those who find ways to rise above poverty, pain, and tragedy. One such person was Southpaw Oprah Winfrey. Born as the daughter of a maid and a World War II veteran, she has had much to overcome. Oprah was raised by her grandmother, who although strict and sometimes harsh, encouraged Oprah and gave her tools to succeed. She learned to read before the age of three. Her grandmother was very poor, and Oprah was often made fun of by her peers for wearing clothing made from potato sacks. At the age of thirteen, after suffering many intolerable years of sexual abuse at the hands of relatives and family friends, she ran away from home. She became a mother at age fourteen, only to lose her child tragically when the infant was two weeks old. Instead of that string of tragedies leading her into a life of sadness and poverty, for Oprah, those misfortunes only seemed to feed her desire to succeed. She excelled at a public school and was sent to an accelerated school where her poverty was constantly a source of teasing and embarrassment from her peers. She rebelled and, ultimately, was sent to live with her father Vernon Winfrey. Although he was very strict, his focus on her education helped her to excel and make the honor role. She joined the speech team and won second place in the nation. She won a full scholarship to the University of Tennessee by placing first in an oratory contest. She studied communication, and, after winning the Miss Black Tennessee beauty pageant, she started getting noticed. Oprah was hired to do news part time at a local black radio station. From there, her career took off. She became the youngest news anchor and first black female anchor at a local Nashville television station. Next, she moved to Baltimore and landed a co-anchor position for the six o’clock news. Her media experience soon earned her the opportunity to co-host a talk show with Richard Sher. Her experience in Baltimore landed her a job on a low-rated talk show in Chicago. Oprah worked her magic, and within a short time, she took the show from last place ratings to first place. Her show became the highest-rated talk show in Chicago, beating out the powerhouse of the time, Phil Donahue. Then, in a stroke of genius, she followed the advice of Roger Ebert and signed a syndication deal. The money started rolling in, and Oprah soon brokered a deal with ABC to gain ownership of the Oprah Winfrey Show, putting it under the control of her own production company, Harpo Productions. When it came to taking the high road, Oprah was at the head of the class. While other hosts had on-stage fights and paternity tests, she pledged to not be just another platform for tabloid topics. Initially her ratings fell, but the public grew tired of the other shows. Oprah made her show about a broad range of topics ranging from health to spirituality, from disease to politics. She interviewed celebrities about charities and social issues they were involved with. Oprah struggled with her weight, and her honesty and straightforward talk about it and other topics earned her the admiration of millions of people. Her recommendations became the Midas touch: unknown authors became bestsellers overnight. Additionally, she started her own magazine, starred in movies, and consequently, became the world’s first black female billionaire. She is considered the richest self-made woman in the world. From such humble beginnings, this special lady has left a legacy that will last for generations, and she continues to add to that legacy even today! 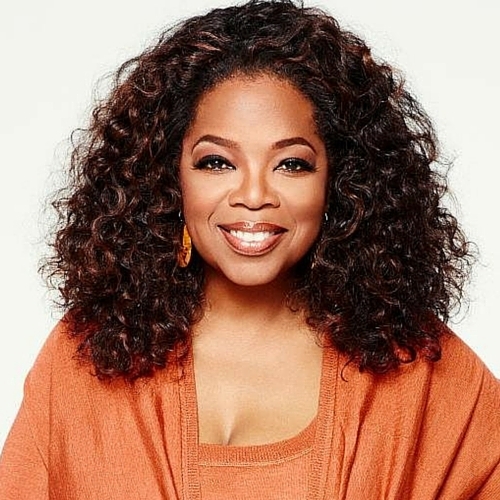 In 2005, Oprah was voted through a public opinion poll as the greatest woman in American history, and she was rated the greatest black philanthropist of all time. Her Angel network has raised over $50 million for charitable programs. Additionally, she was influential in convincing Congress to create a national database for convicted child abusers. She also earned the distinction of being the first recipient of the Bob Hope humanitarian award at the 2005 Emmy Awards, given to her because of her contributions to film and television. Oprah Winfrey uses her special gifts to make a positive difference in the world around her. She could have played the victim all of her life. Instead, she empowers many people to make the world a better place to live in. Her distinctiveness and greatness are combined with grace, power, and wealth, and she uses them all for the common good. Oprah Winfrey is a Southpaw who continues to impress the world.